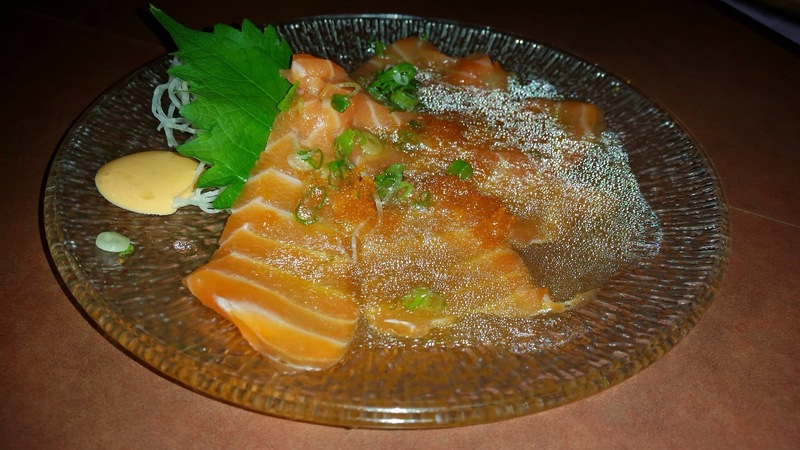 Fujinoya is one of my favorite Japanese restaurants in Westchester. I find it to be as close to authentic Japanese food as I can find in the area without trekking into the City. It’s frequented by Asians and non-Asians who know their Asian food. To read about my last two posts on Fujinoya, please click here and here. 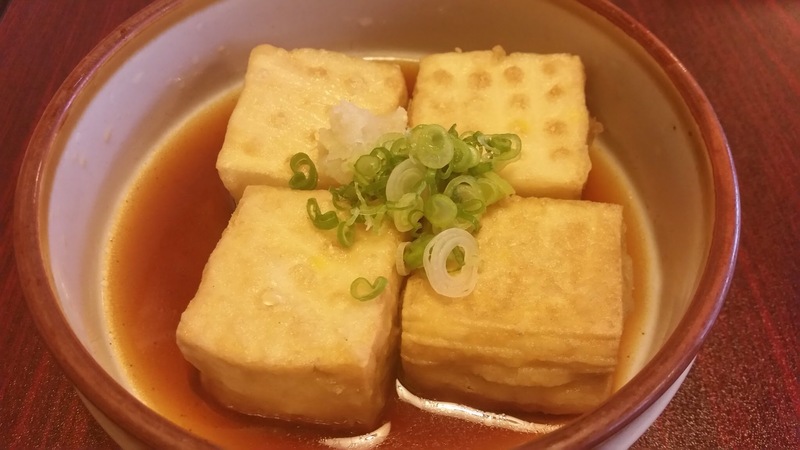 Agedashi 揚げだし: Deep Fried Tofu (soybean Curd) With Japanese Radish Bonito Flakes & Special Sauce. Good but didn’t enjoy them as much since they were fried. 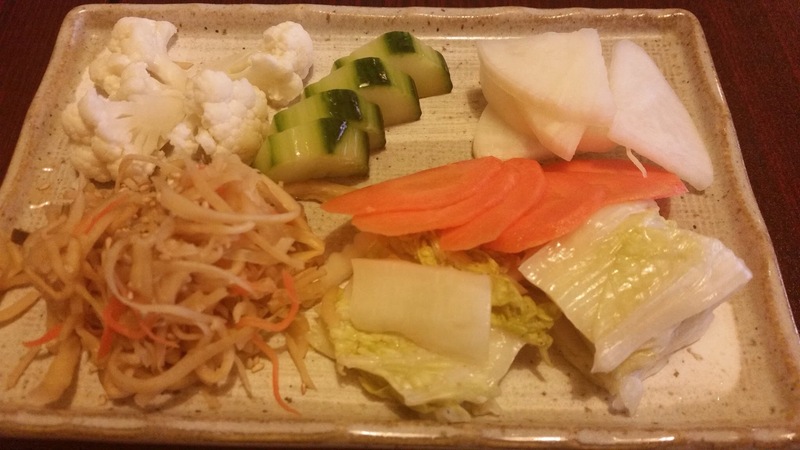 A collection of pickled vegetables (sorry, I don’t know the Japanese name for this dish). This was great. It was sour and mouth watering. It was not exactly what I expected – there was a miscommunication in the order. 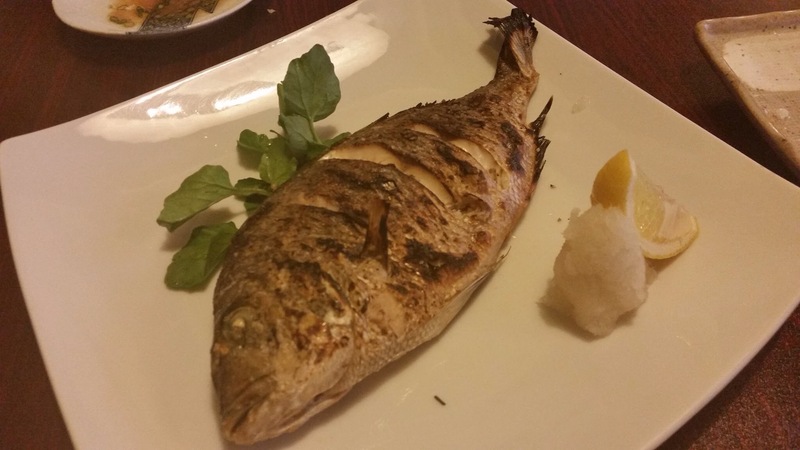 Grilled Porgy: The Japanese way! Grilled to perfection. Yum. Cannot wait to have grilled fish everyday when I spend my month in Taiwan, starting next week. 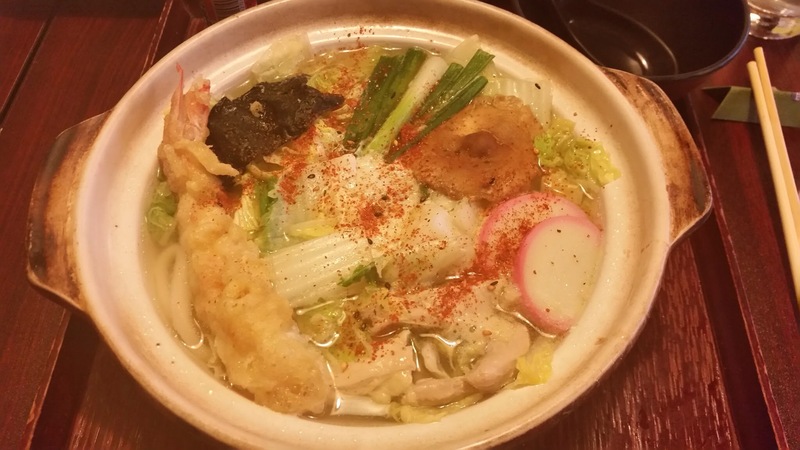 Nabeyaki Udon: Always homey for me. My go-to when I am sad or hungry. Gives me a sense of comfort, warmth, and fulfillment. I am not big on rice but I am all about noodles. I think I am made of noodles. Sushi Special A スシスペシャル: An assortment of various sushi. Fresh! Highly recommend it. This is Asia in a confine of food. This is Asian culture with its love for food. This is what I grew up with. This is what I love. 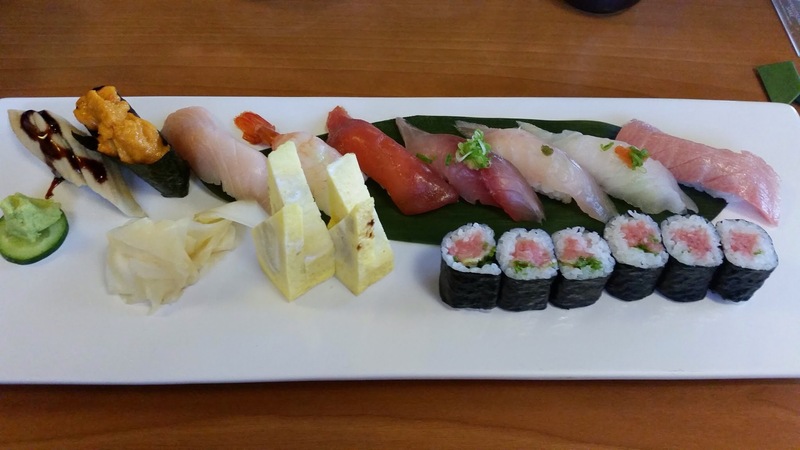 Fujinoya in Hartsdale is a great Japanese restaurant. Hands down no questions asked. It is authentic and the food across the board is made with care and high standards. I frequent this restaurant and this is the second post on Fujinoya. To read the last post, click here. This time, we asked for the chef’s special on sashimi and sushi which is depicted below. 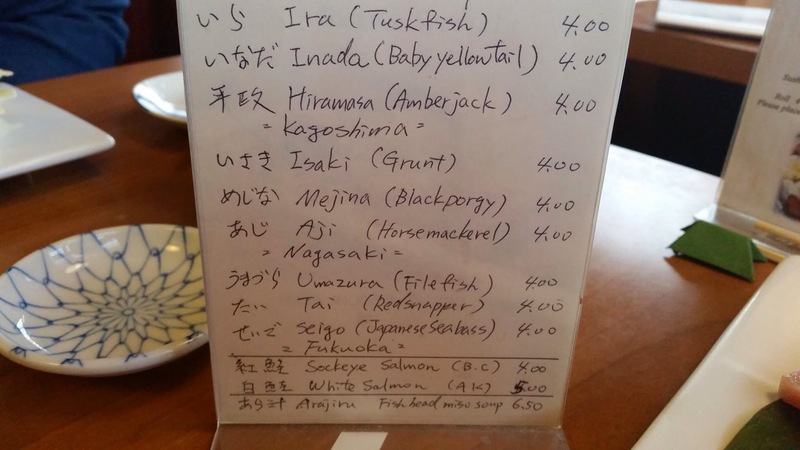 The list of fish Chef chose from to create the special for us. 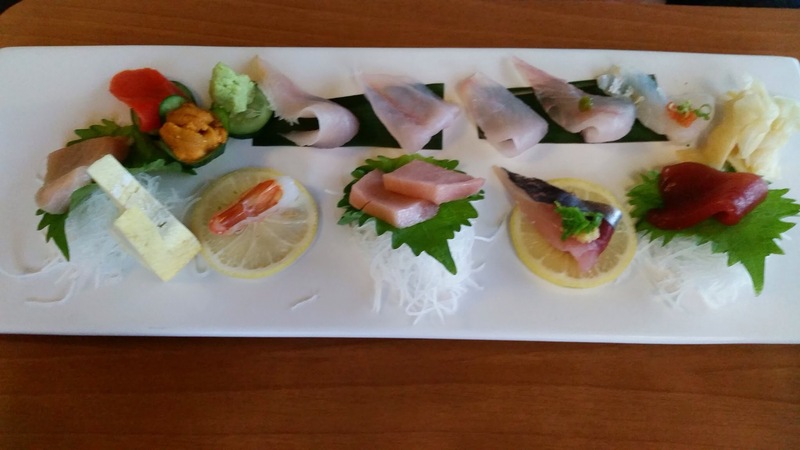 Every piece of sashimi and sushi was beautifully cut, fresh, delicate, and harmonized with the rest of the dish. Perfect meal. Highly recommend it. Here are the side dishes that came with the meal. From right to left, we have bean sprouts (non-spicy), kirby with chili and vinegar, kimchi, and daikon with jalapeño. The egg on the most left is for my tofu dish coming up. Very satisfactory indeed. My friend said that Christmas had come early for him! It took me another 10 mins before I realized that I was completely happy with this line up. Yes, I was a little slow tonight. 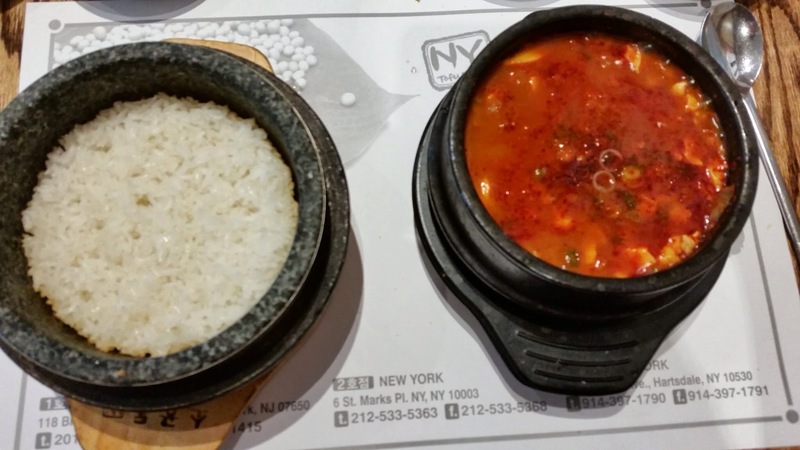 Soondubu Jigae: Korean silken tofu stew in a stone pot with options such as seafood, beef, dumplings, etc. I asked for the seafood and beef option. I then chose the spicy level which I went for regular. The last step is to choose between kalguksu (Korean thick noodles), ramen or hot stone bowl of rice. I had the hot stone bowl of rice since I liked the crunchiness of the rice at the bottom of the bowl. They cracked the egg and dropped it into my stew while it was bubbling hot. 🙂 Really cool. 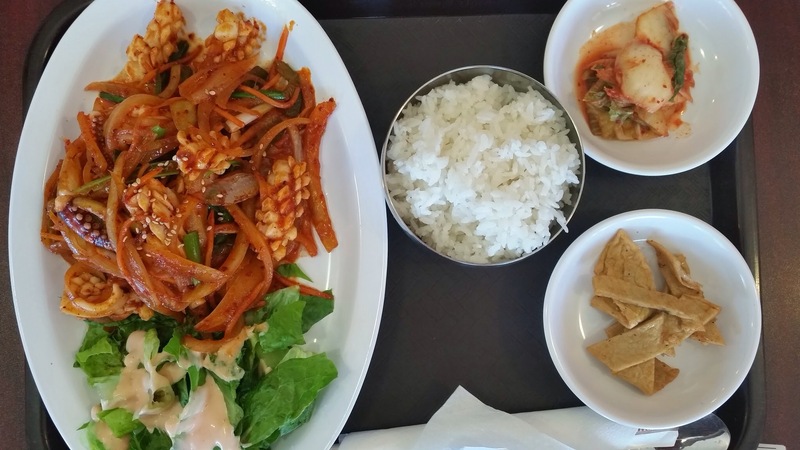 My friend, being a novice to the Korean cuisine, was not shy in ordering the same. 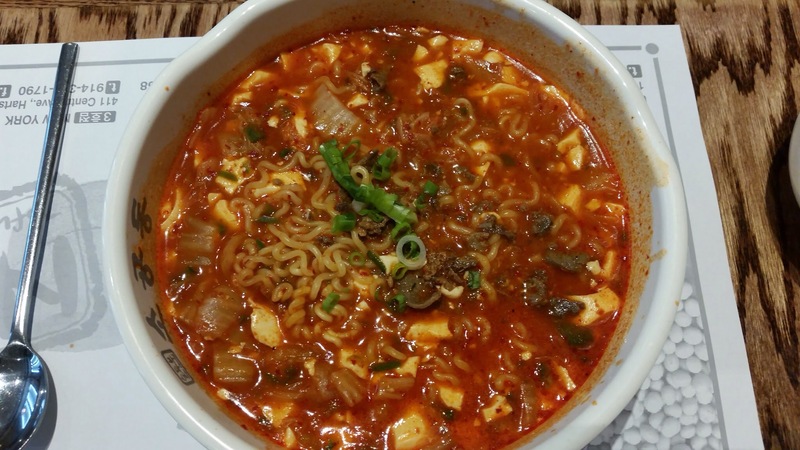 He also went for a Soondubu jigae: he chose kimchi on the hot spicy level with ramen. This is such a risky behavior for someone who has not had this dish before but he went for it. Brave! It was spicy enough!!! I think not only did Christmas come early for him, the New Year’s eve also arrived much sooner than expected. Highly recommend this place. Good winter food that warms the tummy and the soul with a small check for the wallet. The entire meal pre-tip was a little more than $25. Go on Monday nights. The service was fast and they leave you alone to chat until you are ready to leave. Happy. 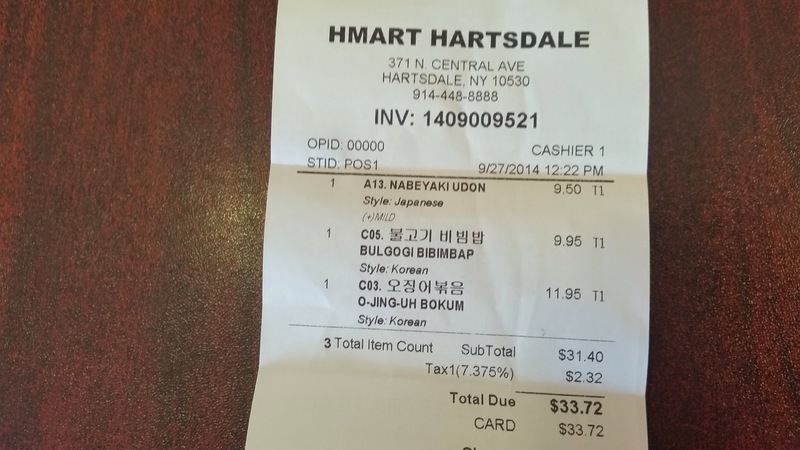 H Mart in Hartsdale, NY is a grocery store that caters to the Asian population. You can find Korean, Chinese, Japanese, and other regular supermarket items here. The produce section is fresh and immense. The seafood offering here is impressive (pre-cooked lobsters anyone?) 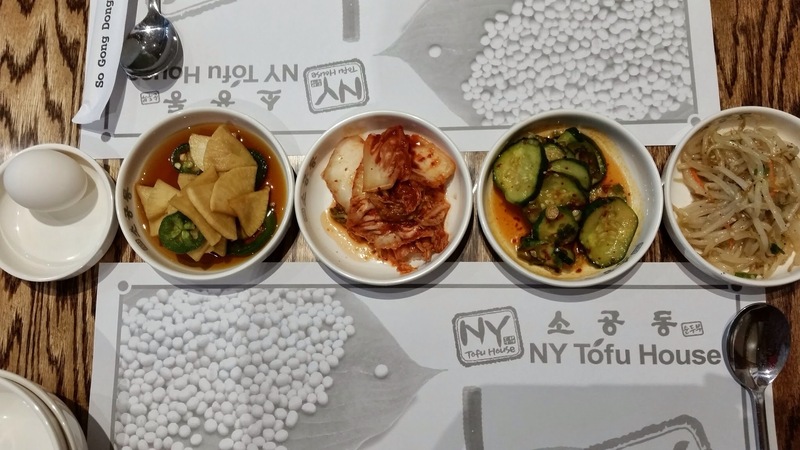 Further, it has a food court that are particularly strong in Korean dishes, with Chinese and Japanese running tightly behind the Korean food. O Jing Uh Bokkeum: spicy stir-fried squid. Excellent. This dish always satisfies and never fails. Love. 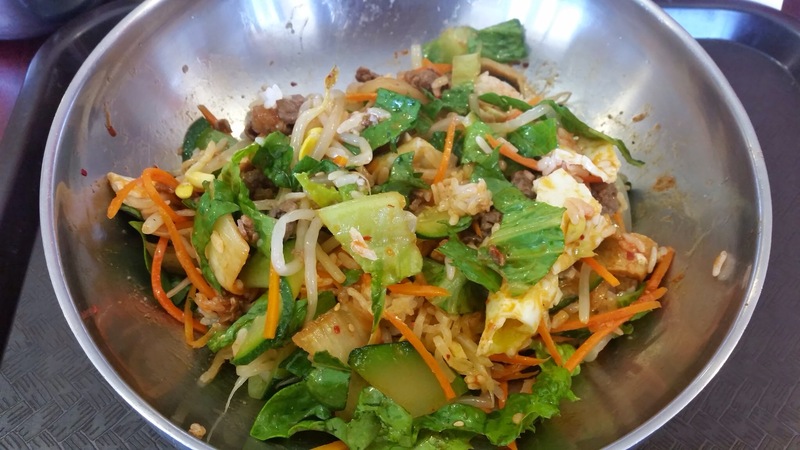 Bulgogi Bibimbap (before): As you may know by now, I love this dish. 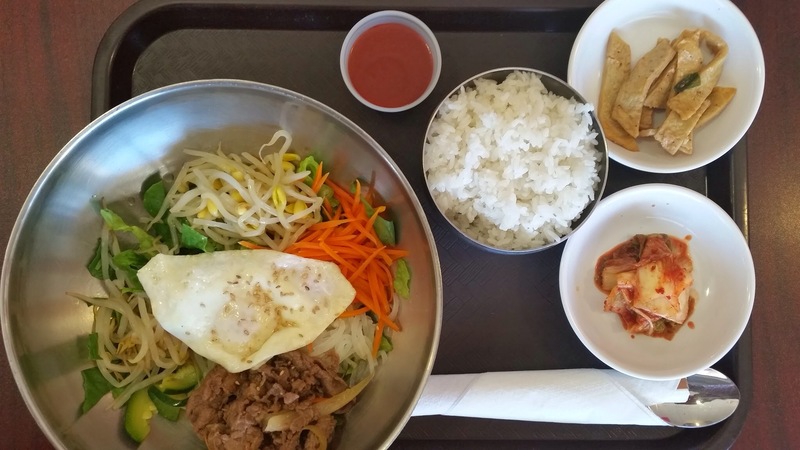 This was not as good as the Dolsot Bibimbap from the Kalbi House but it was good enough for the price and for the convenience. The dish is also kind of pretty from my perspective, something to do with chopped up fresh vegetables, sweet beef, topped with an egg that just get me going. This is what the Bulgogi Bibimbap looked like after I added in the kimchi, red chili sauce, fish cake stripes and rice. It’s ready to be eaten. 🙂 Isn’t it pretty and yummy looking? Could not wait to dig in. 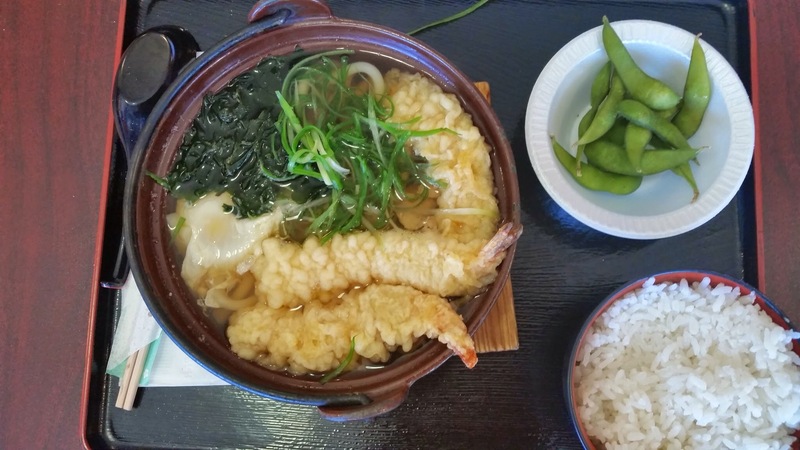 Nabeyaki Udon: Decent but nothing to write home about. Japanese food is not H Mart’s strong suit. Last but not least, here is how much it costs to eat in a food court in the expensive Westchester County, NY. Welcome to the competitive world of New York metropolitan area. This is a great place to go for grocery shopping, if you can stand the crowds and the tightness of the aisles. Unfortunately, my good experience was not meant to be repeated. We ordered three dosas. Here is how they turned out. 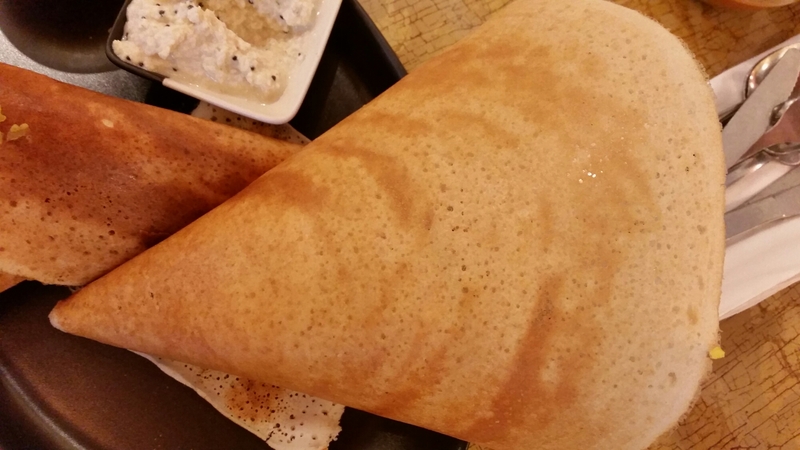 This is the Masala Dosa. The presentation was impressive. The crepe is thin and has a nice consistency. The filling of spiced mashed potatoes and onions was a little salty. Here is the Bombay Dosa for me. The filling is curried potatoes with vegetables. It was extremely salty. I was very hungry but could not ignore the salt. It was so heavily salted that I wondered if it was double salted. I left my dosa half eaten. I think the filling would have been great with only plain rice – a lot of it! 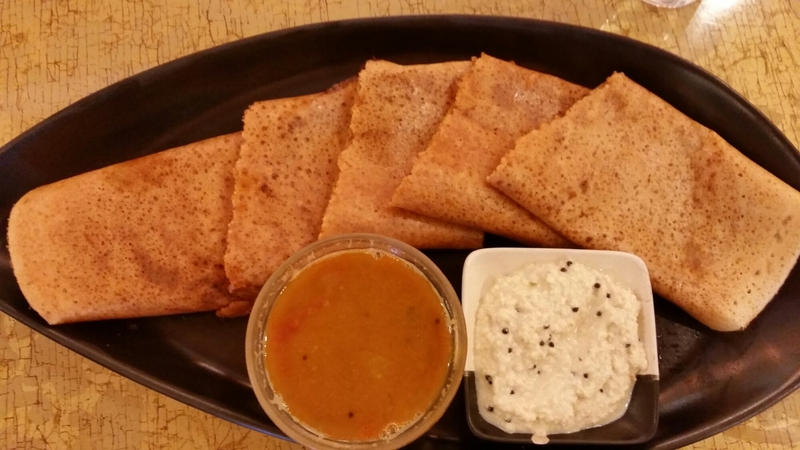 The cheese dosa. Bleh. Plain and wished it was a French crepe instead. It was also salty! 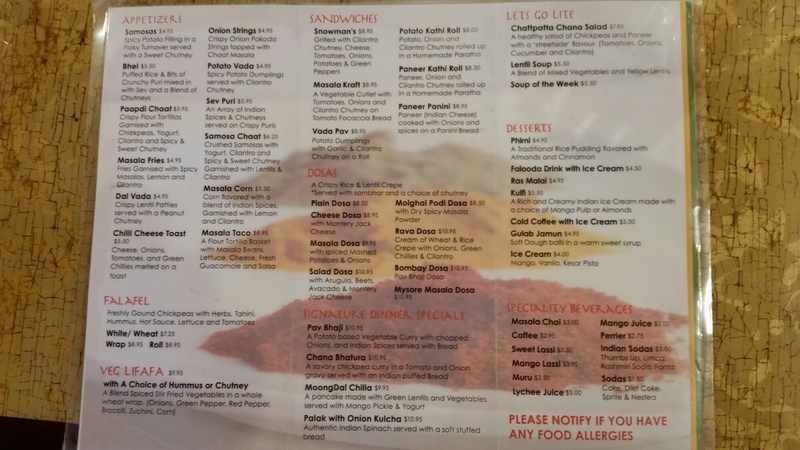 Masala Kraft’s menu for your reference. Probably should have tried other items instead of putting all my eggs in the dosa basket. 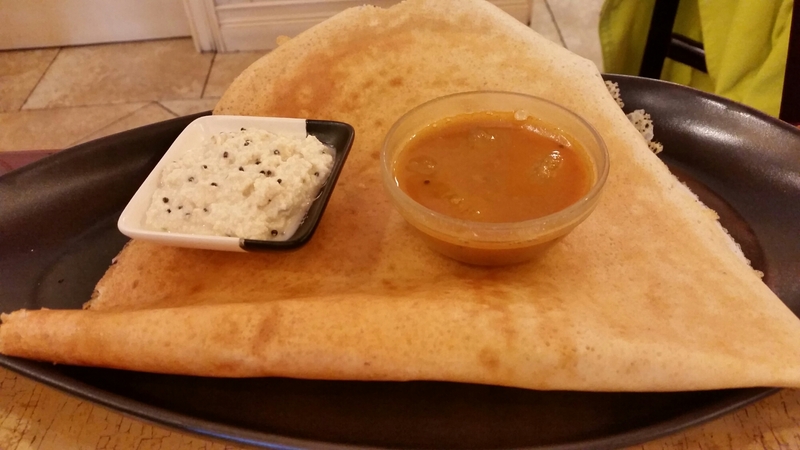 Do not recommend the dosa. I did buy two bananas from the farmer’s market afterwards though. It was not a complete waste. 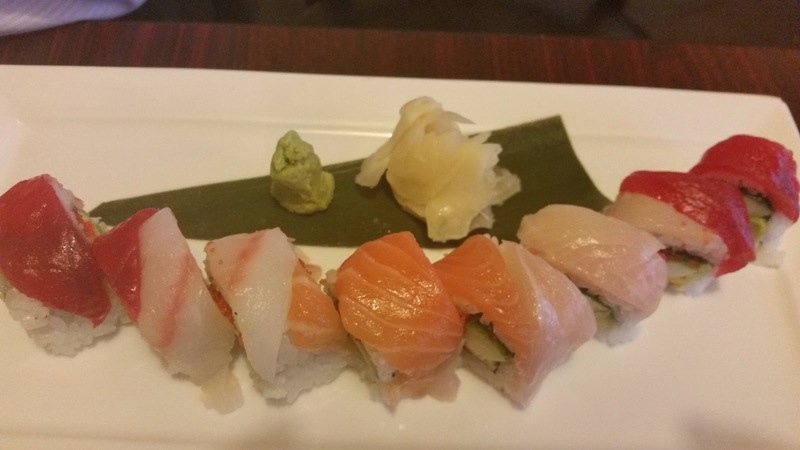 Exactly three weeks after I returned from Taiwan, I went to Fujinoya in Hartsdale, NY. This is a small place that always has a long line (45 mins+) for lunch on Saturdays. They don’t take reservations. I was lucky this past Sat and the food did not disappoint. The dishes taste like they should in Asia! 🙂 It really made me smile. Happy twirl! 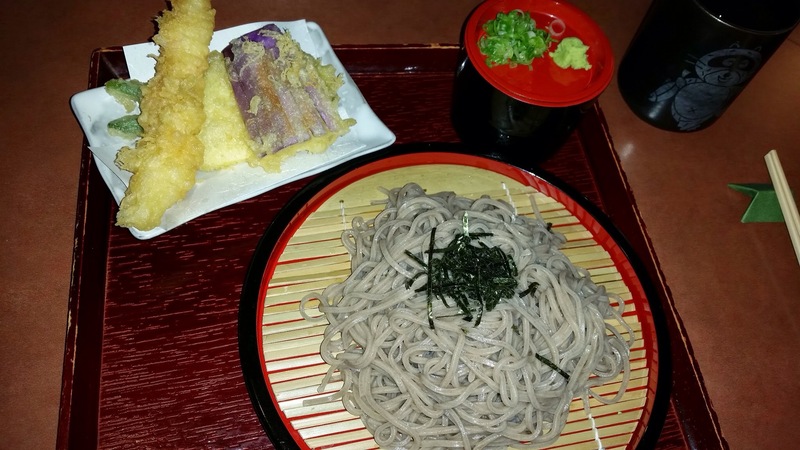 This is my cold soba noodles with tempura. The soba and the shrimp tempura were good. I did not care for the vegetable tempura. It was a little too greasy for me. 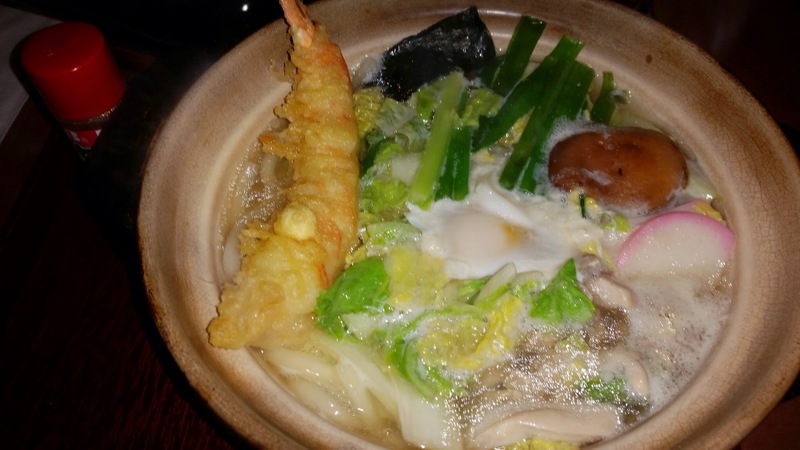 This is the Nabeyaki Udon, my goto. Always good, hot, and yummy. Look at the egg! The broth was authentic and delicious. This is the salmon carpaccio. I highly recommend this Japanese restaurant. I go there often and they are always consistent. The sushi chefs never speak English and I have seen the owner shop at the local Japanese grocery store. I cannot say enough good things about this place. Really happy that it did not disappoint. Two thumbs up!